The TV drama Eternal Love <三生三世十里桃花> starring Yang Mi (杨幂) and Mark Chao (赵又廷) had set the record as the most-watched television series in China with over 50 billion views, catalyzing the fame of stars such as Dilireba (迪麗熱巴) and Vin Zhang (张彬彬), now among one of the highest-earning actors in Chinese television. Eternal Love already has one confirmed spin-off series The Pillow Book <三生三世枕上书>, which is set to air this year. On April 9, it was announced that Eternal Love will have a second spin-off series, temporarily titled Love and Destiny <三生三世宸汐缘>, which will feature film stars Chang Chen (张震) and Ni Ni (倪妮). 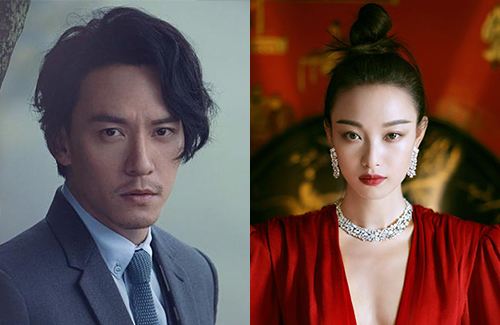 Love and Destiny will be Chang Chen’s first TV drama serial since debuting 17 years ago, and Ni Ni’s second, her first being last year’s Netflix drama The Rise of Phoenixes <天盛长歌>. Directed by Lam Yuk-fan (林玉芬), Love and Destiny follows the warrior god Jiu Chen (Chang Chen) who has a destiny of guarding the six realms. 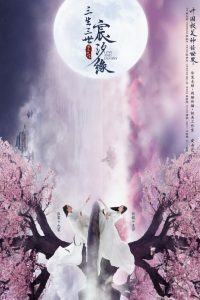 He falls in love with the angel Ling Xi (Ni Ni), but struggles to find a balance between duty and love. The Eternal Love series is based on the xianxia novel Three Lives Three Worlds written by Tang Qi (唐七). love these trailers how it tells absolutely nothing about the plot, just people standing and waving their hands. Ni Ni is so beautiful…. Well, if this spin off was based on a book like the pillow book then it’s fine. But if not, then it’s just another money making scheme where they use the name: three worlds three lives, and maybe the same world but have zero solid story to back it up (because I don’t believe the script writer can write a good script that isn’t dragged out for commercial purpose, especially when it’s a cash cow one like this). Ni Ni looks very good but the main actor not so much. I’m very sceptical though, cdrama just can’t be trusted.